In a division that featured three playoff teams in 2017, many obstacles have stood between the Tampa Bay Buccaneers and the playoffs. Not playing a meaningful game in January since 2007, the Bucs have cycled through four coaches in the previous seven seasons. Quarterback Jameis Winston is back for his fourth season and, as always, enters camp amid controversy. Stealing crab legs, disturbing the peace, damaging his apartment, and now a second sexual misconduct case have marred the successful on-field career of the Florida State product. Already suspended for the Bucs first game, Winston needs to shape up and stop hurting his team any more than he already has. The Tampa Bay Buccaneers betting odds place them near the bottom of the league. This team, although talented, has many problems bound to surface during the 2018 season. With a quarterback who can run and several serviceable backs, the Bucs attempted to primarily move the ball on the ground in 2017 but did not have the success they would have liked to see. Their powerful leading rusher Peyton Barber returns after averaging a tick under four yards per carry in 2017. Doug Martin had led this team for years on the ground but was eventually released midway through the season due to a lack of production. Jacquizz Rodgers will now have to step up and improve upon his 244-yard 2017 season as the Bucs’ new #2 back. Winston has pretty good legs, himself, and can be counted on for 150-200 yards on the ground each season. When not looking to run, Winston has the luxury of two productive targets to turn to. The Bucs’ #1 wideout Mike Evans hit the ground running with an excellent rookie campaign and has not looked back since, posting at least 1,000 receiving yards in each of his four NFL seasons. His touchdowns dropped of majorly from twelve in 2016 to only five in 2017, but expectations are high heading into this season. 10-year veteran and Bucs’ #2 receiver DeSean Jackson also took a step back in production last season. If Winston can remain out of trouble and on the field, we may see Jackson return to his 1,000-yard form, a mark he reached in 2016 in Washington but is yet to accomplish in Tampa. While his critics point to his attitude as a team distraction, football bettors know that at the age of 31, Jackson still possesses the speed and explosiveness necessary to put up big numbers. The Tampa Bay Buccaneers betting odds for winning Super Bowl 53 are quite low at 70-1. With so many uncertainties, it will be understandably difficult to get behind the Bucs this year. Here at SkyBook, we pride ourselves on being the best NFL sportsbook for all your football betting needs. 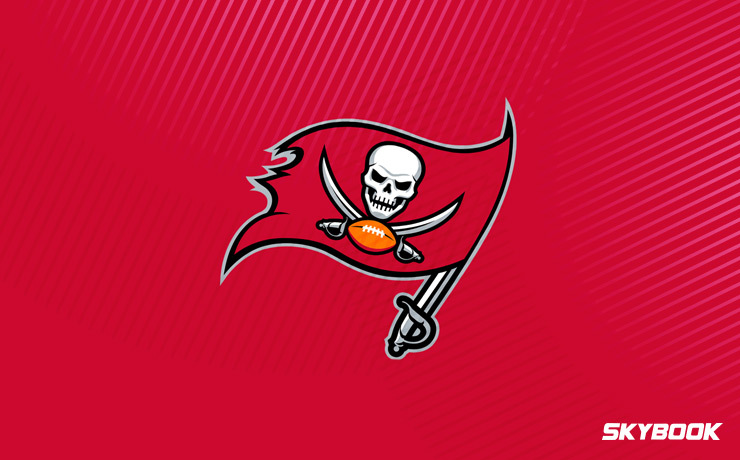 If you want to follow or bet on the Buccaneers this season, you can get game analysis, matchups, and injury reports all right here without leaving our secure site. We have the best Buccaneers odds and content along with great bonuses that you will not find at any other sportsbook.